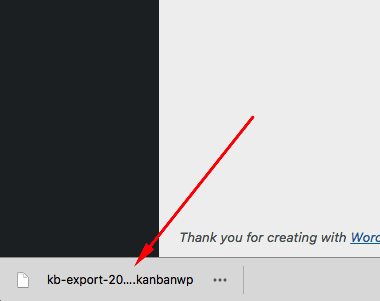 If you need to move your Kanban data from one WordPress install to another, or you want to back up your Kanban data, using the export and import functions is the best way to do it. 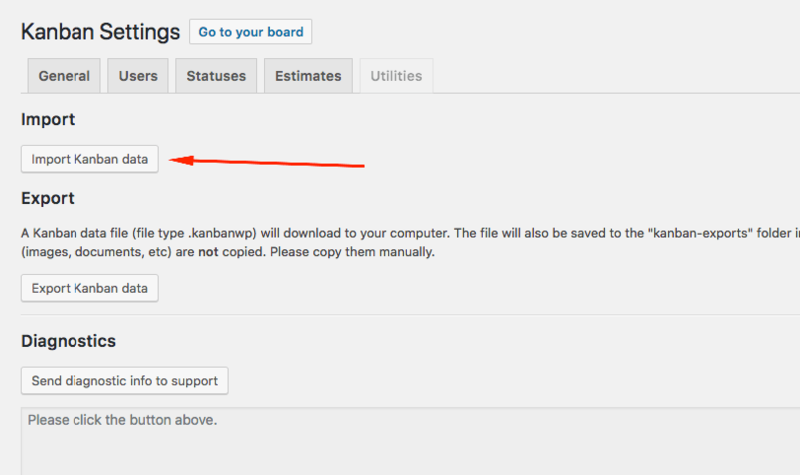 To export your data, go to Kanban > Settings in your WordPress admin dashboard, and select the “Utilities” tab. 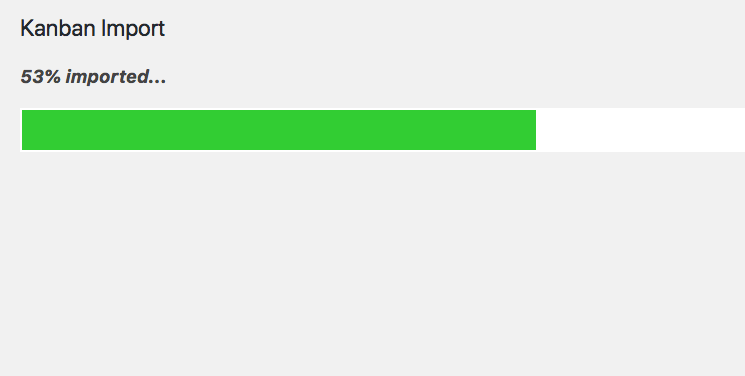 Click on the “Export Kanban data” button. Your data file will download immediately. It will create a .kanbanwp file with the date and time in the file name, e.g. “kb-export-2018-07-30_17-11-13.kanbanwp”. 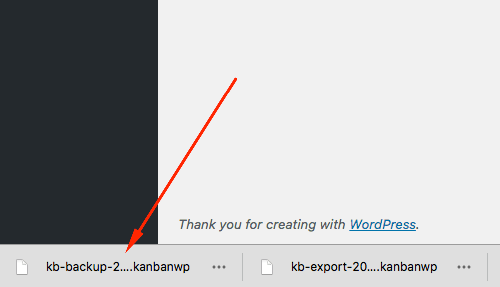 To import a Kanban data file (either exported from another WordPress site or from a Kanban backup), go to Kanban > Settings in your WordPress admin dashboard, and select the “Utilities” tab. 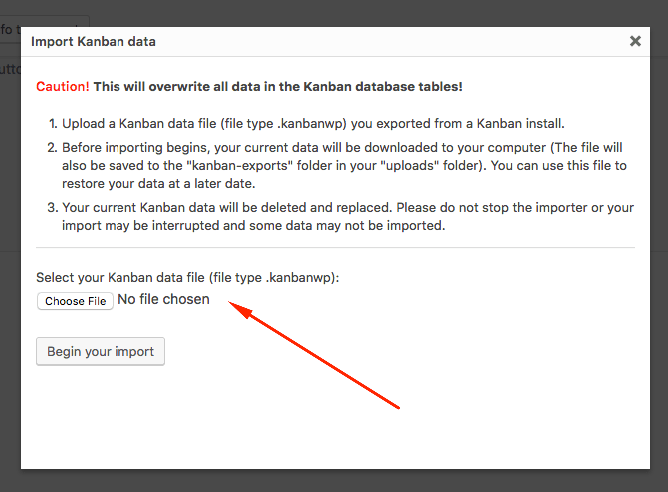 Click on the “Import Kanban data” button. This will open a modal with further instructions. Please read it carefully. 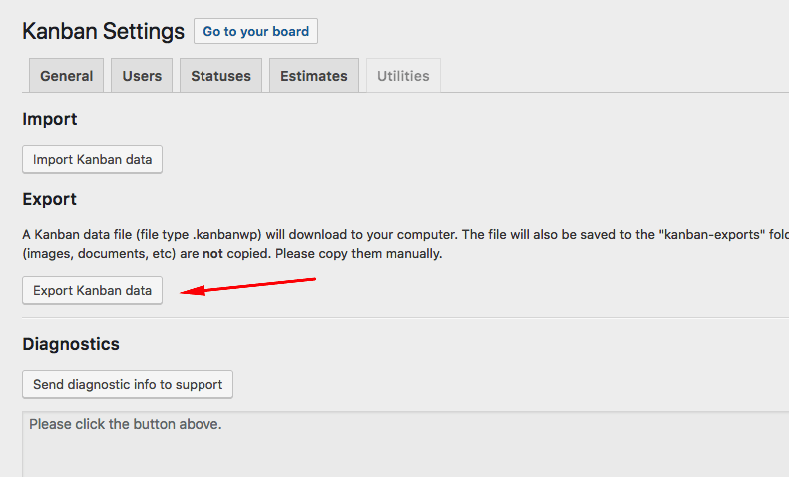 Choose your Kanban data file and then click the “Begin your import” button. 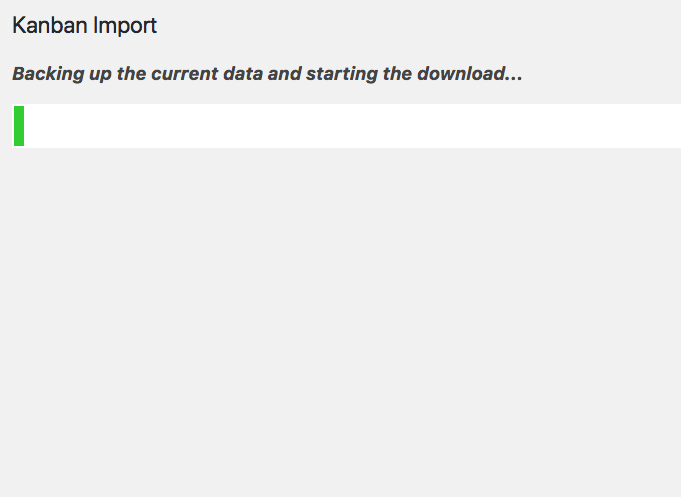 Before the import begins, another file is downloaded to your computer. The import will then continue to show progress.  Do not browse away form this screen or hit the back button , or you may interrupt the import and some data may not be imported correctly. 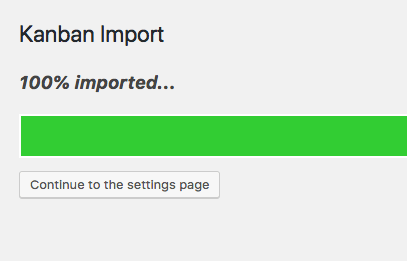 If you find the import did not complete correctly or you made a mistake, use the backup file created during import to restore your data.